Tax structure allowed McDonald's to divert revenue for years, costing European countries over €1 billion in lost taxes between 2009 and 2013. Today in Brussels, a coalition of European and American trade unions, joined by the anti-poverty campaign group War on Want, unveiled a report about McDonald's deliberate avoidance of over €1 billion in corporate taxes in Europe over the five year period, 2009-2013. 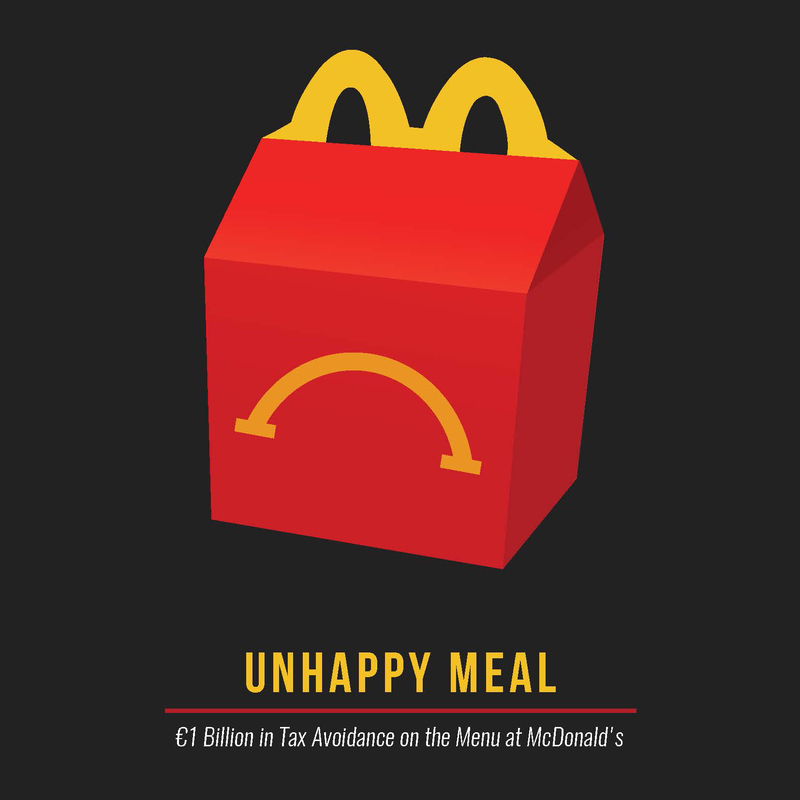 The report outlines in detail the tax avoidance strategy adopted by McDonald's and its tax impact both throughout Europe and in major markets like France, Italy, Spain and the U.K. The practice essentially consisted of moving the European headquarters from the UK to Switzerland as well as using intra-group royalty payments and channeling them into a tiny Luxembourg based subsidiary with a Swiss branch. McDonald's has faced widespread criticism in Europe and globally for the low wages and poor working conditions at its restaurants. In the U.K., for example, workers have protested McDonald's practice of “zero-hours contracts”, which leaves workers without any guarantee of regular work or stable income. The company's low wages have also been criticized for imposing substantial costs on taxpayers, as many McDonald's workers are forced to rely on public assistance to afford food and rent. McDonald's is the largest fast food company in Europe, with 7,850 stores and €20.3 billion in systemwide sales in 2013. McDonald's European division accounts for nearly 40 percent of the company's operating income. Details of the report will be presented to Members of the European Parliament, Commission officials as well as to the European Commission's platform for tax good governance. EPSU is the European Federation of Public Service Unions. It is the largest federation of the ETUC and comprises 8 million public service workers from over 265 trade unions; EPSU organises workers in the energy, water and waste sectors, health and social services and local, regional and central government, in all European countries including the EU's Eastern Neighbourhood. EPSU is the recognized regional organization of Public Services International (PSI). EFFAT is the European Federation of Trade Unions in the Food, Agriculture and Tourism sectors. As a European Trade Union Federation representing 120 national trade unions from 35 European countries, EFFAT defends the interests of more than 2.6 million members towards the European Institutions, European employers' associations and transnational companies.